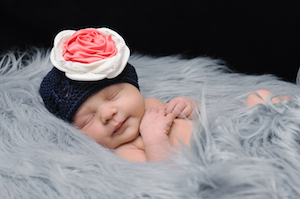 Abbey Adams, Creative Director at Sony/ATV Music Publishing, and Austen Adams, Of Counsel at Dickinson Wright, PLLC, welcomed second daughter Alefair Amelia Adams on March 15. The newborn weighed 6 lbs, 6 oz., and was 19″ long. She joins big sister Adelais. Big Machine Label Group, General Mills and Feeding America® have announced the launch of the fourth annual Outnumber Hunger campaign, which has helped secure more than 35 million meals to people facing hunger in America. 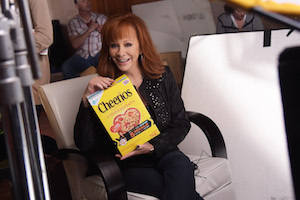 REba and other BMLG artists will be featured on more than 60 million General Mills packages, including Cheerios, Pillsbury, Yoplait, and Nature Valley. Reba will kick off the campaign with a special concert event, “Reba and Friends Outnumber Hunger,” featuring songs from her forthcoming album Love Somebody. The concert, which will also include performances from Tim McGraw, Rascal Flatts, Florida Georgia Line, Eli Young Band, and Maddie & Tae, will be broadcast on local Gannett affiliates beginning April 17. On April 18, the concert will air on CMT as well as through an exclusive radio broadcast on iHeartMedia Country stations. My Country Nation (MyCN) has announced the addition of new series, 46 Hours, which allows fans a look into the lives of country stars during some of their biggest career moments. The first installment spotlights Atlantic Records and CMA New Artist of the Year Brett Eldredge and will premiere Friday, March 20 on MyCountryNation.com. 46 Hours is a digital series of five-minute episodes that will run on MyCountryNation.com. The series involves a flexible format designed to tailor itself to the personality of the artist featured and highlight their personality and sense of humor.